When it comes to picking a classic wedding color palette, black, white and rose red is always a timeless and elegant choice. This week, we've rounded up a few ideas on how you can incorporate this color theme into your wedding day decor. Black, white and rose red accents look sophisticated and classic on these wedding cakes. Embrace the black and white theme with a dramatic, black and white wedding dress. 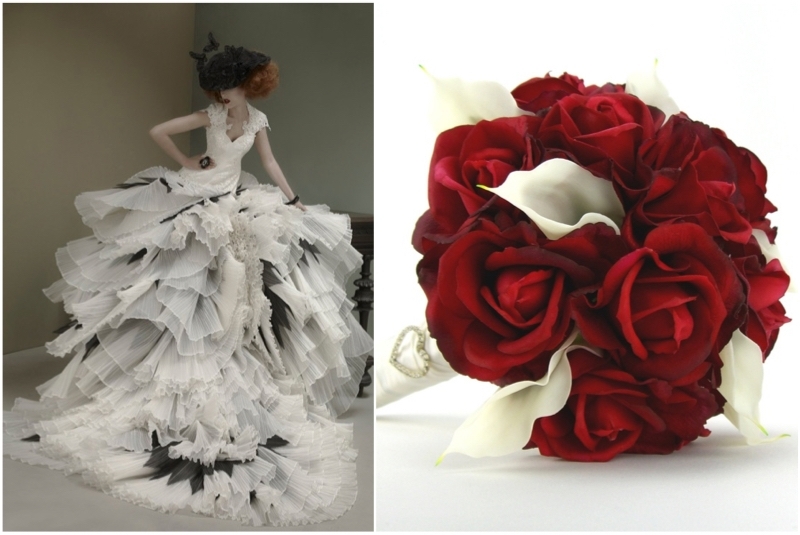 A red rose bouquet or red bridal shoes finish off the look. For the bride who dreams of a gorgeous white wedding dress yet simply desires an accent of her wedding color, consider a striking black sash or jacket. From flowers and place cards to your wedding table centerpieces, there are plenty of places you can incorporate black, white and red into your wedding decor.